Skylight’s rooftop bar is gearing up for another summer of fun. Despite the recent chilly spell, summer is coming (we promise!). And here’s some news that should warm the cockles of your heart: Skylight is returning for more summer antics in 2019. 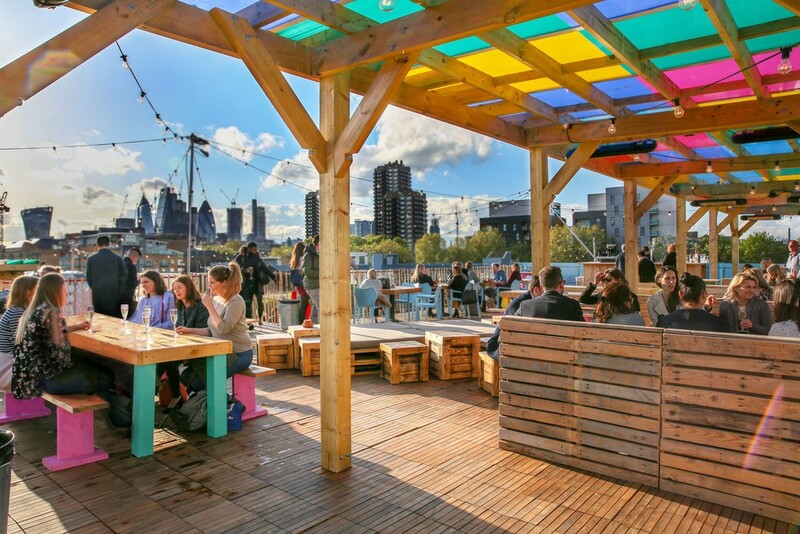 The East London rooftop hangout spent the winter hosting ice skating and fondue, but since then, it’s been getting in shape for summer. 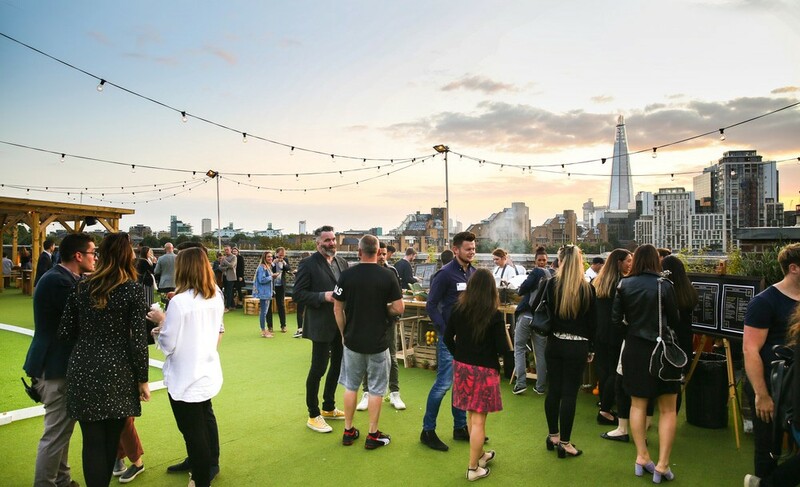 This sizzling rooftop spot will be back before you know it, as Skylight have confirmed that they’re open for business again on May 2nd. Oh, you can almost smell the fresh summer air with this news! Skylight was one hot mama last year, drawing in the crowds with food, drink, and gorgeous views of the city. This summer, the capital’s three-storey “urban lawn” returns, once again laying on brilliantly British revelry. The star attractions are the four croquet lawns, offering you the chance to hammer out a victory. Their beloved pétanque courts (that’s a fancy French version of boules) are coming back for another round, too, along with indoor games. Things are new and shiny for 2019, with the most exciting arrival being a fleet of comfy day beds, perfect for a spot of lounging in the sunshine. 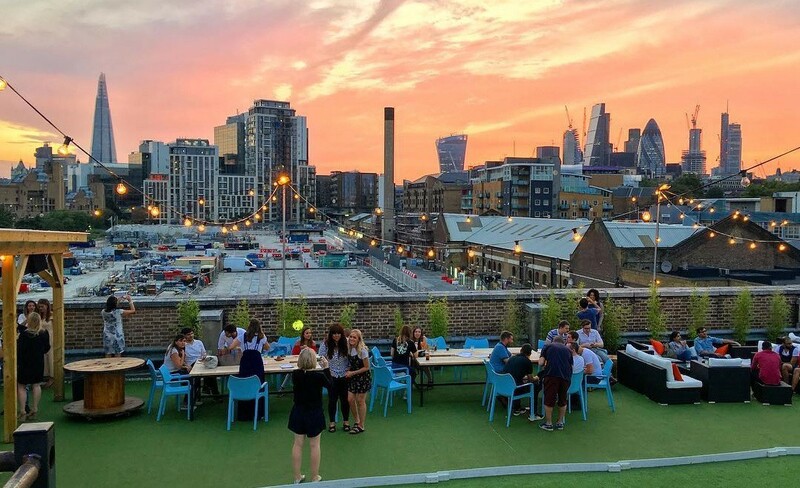 Skylight will also welcome private garden booths, festooned with greenery and therefore ideal for a little Instagram love. 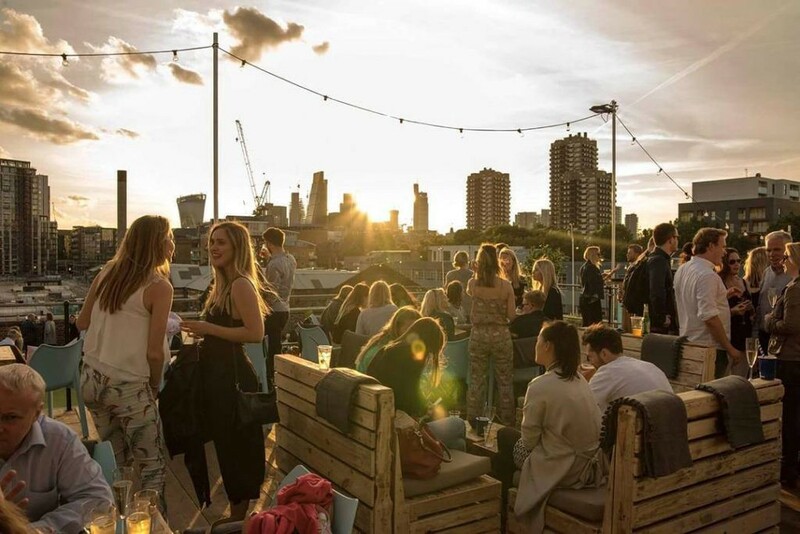 The rooftop will also welcome a series of themed events (including Dog Day and a summer solstice party) all summer long, so keep your eyes peeled for the perfect party. It isn’t all about fun and games up on the rooftop, though — because it’s also about feasting and drinking. Skylight’s army of bars will be serving up ice-cold beers, bubbles, and a menu of seasonal cocktails, including a Gin Basil Spice and a Raspberry Rum Margherita. They’ll keep you well fed, too; souvlaki saviours Yiro and burger bosses Flipside are both heading to the roof. Perch on the sky terrace with a drink in hand, and you’ve got one of the best spots in the city to sip and watch the sunset. Summer. It’s coming, people. Location: Tobacco Quay, Pennington Street, St Katharine’s & Wapping, E1W 2SF. Nearest station is Shadwell. See it on Google Maps. Opening hours: When it opens on May 2nd, Skylight’s hours will be 5pm-11pm (Thursdays and Fridays), 12pm-11pm (Saturdays and Sundays). Closed Monday to Wednesday. Price: entry to Skylight will be totally free, but croquet starts at £25 and pétanque starts from £15.